Whether you are excavating a driveway at home or completing work on a construction site, our skip hire is a great waste transfer solution. At H&D, based in Portland, Dorset, we provide an array of spacious skips that allow you to dispose of all waste and debris both quickly and easily. As with our grab lorries, both domestic and commercial clients hire our skips. 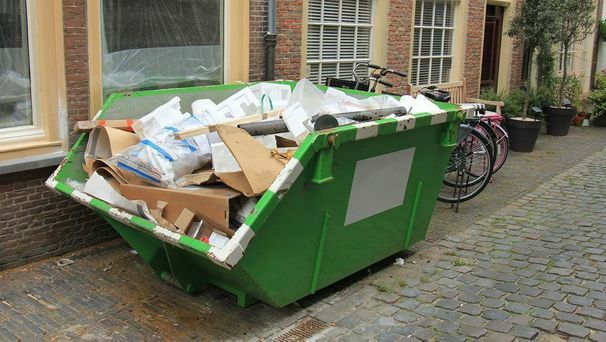 Make sure that you hire the right size skip for your project. Some heavier materials are unsuitable for loading into larger containers, as they may overload the vehicle or fail to comply with legislation. The following tables show the equivalent number of 80L refuse bags that each skip holds. Don't hesitate to get in touch if you are in any doubt about the correct skip for your needs. for further details about our skip hire and waste transfer services in Dorset.